Coyote stories were the Native American way of recording history, culture and teaching their children. They used talking animals which Walt Disney later created into a multi-billion dollar industry. 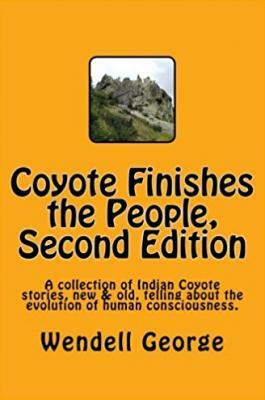 This book is a series of Native American Coyote stories beginning with the Naming of the Animals when Creator-God, Haweyenchuten, selected Coyote to "Finish the People" because he understood them. Coyote was to monitor people and guide them when he could. It was not easy for Coyote because he had the same faults of pride and self-importance and was known as a trickster. But after suffering through his youthful drives he became a transformer. He was told if he successful finished the people his name would be respected which is all he wanted. The suspense is whether Coyote would be able to "finish" the people.